This was my 3rd and last concert of this 14 on Fire tour. My 18th concert since I was first saw them in Gothenbourg in 1982. Hopefully there will be more. As long as they can deliver like they have done during this tour I don't see why not. The first concert in Oslo was great, but also a little uneven and unrehearsed. The one in Paris, at the middle of this tour showed a band that was more rehearsed and tighter in their performance, but still fresh. This one in Stockholm showed a band that played very well together, but near the end of the tour and also sometimes playing without too many risks. Don't get me wrong, it was a very well performed concert. Mick was doing his best, jumping and running around and working really hard. 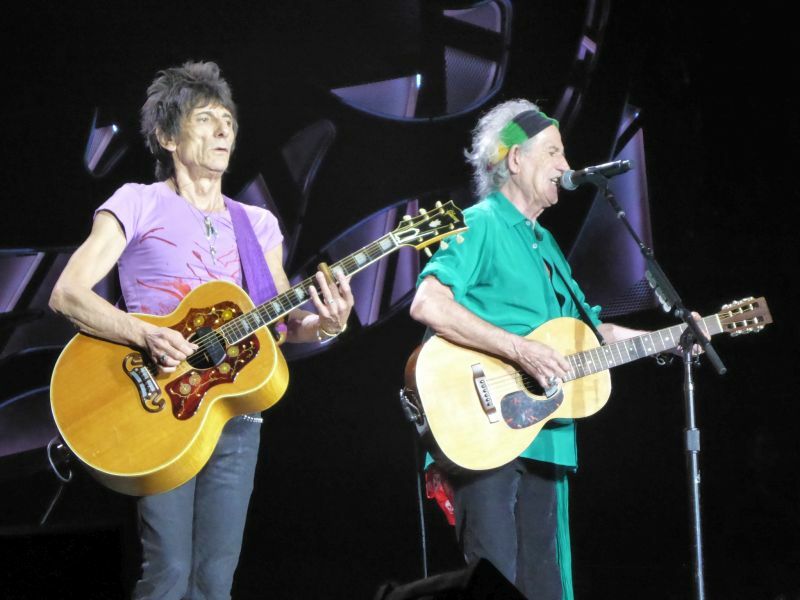 Keith seems to be in good shape, and I think that Keith did very well this night while Ronnie sometimes seemed a little more reserved in his playing than earlier this tour. Charlie is always Charlie. JJF was the opener again, and you can't go wrong with this. A good version again. Another highlight for me was Angie. I was hoping for this since I already had heard Wild Horses and Worried About You earlier this tour. Out Of Control is a good live song, it started good and continued good, but I felt that they ended it to early this time. It never reached the guitar climax it should have before it ends. A good performance by Keith and Ron on You Got The Siver. But the definitive highlight was Midnight Rambler. A killer version, where Mick really kept pushing MT to keep it up. Great playing by Ronnie at the end too. 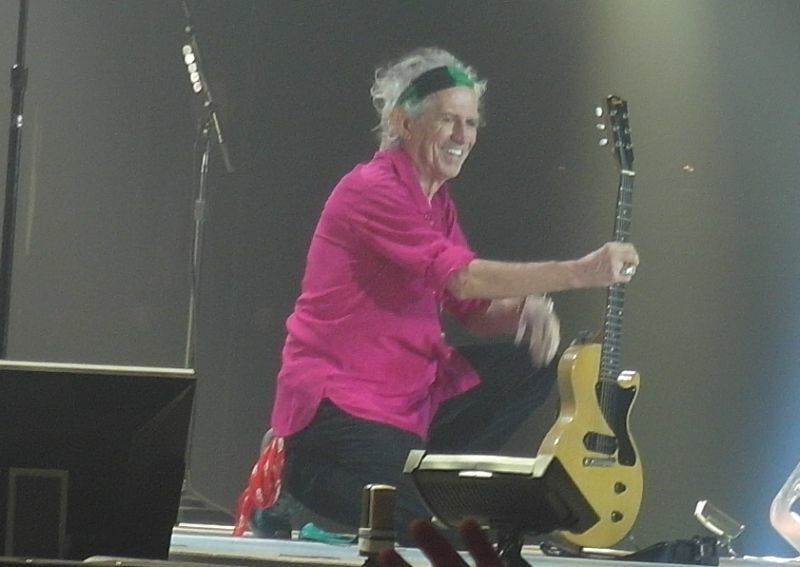 Sympathy For The Devil also rocked well tonight, with loud and clear guitars from both Keith and Ronnie. Keith struggled with the intro and into the first verse of Gimme Shelter, but pulled himself together and did a great job for the rest of the song. A great version of Brown Sugar too. And a great Satisfaction to finish it all. Some strange incidents though, 3 times songs started with one guitarist not ready. First was All Down The Line, where Ronnie was at the back for the first part getting his guitar ready. The guitars ended up to low on this, and it was performed way better in Oslo. The same also happened with Keith for the first verse on Miss You, and finally again with Ronnie again on YCAGWYW. Of the 3 concerts I attended it is hard to say which one was best, because the are all different, the best performances of the different songs are spread on those 3 concerts. Best MR in Stockholm, best ADTL in Oslo, best HTW in Oslo and Paris (tie), best OOC in Paris, best SMU in Paris, best Sympathy in Stockholm etc. I went to my first ever concert by The Rolling Stones in Sweden 41 years ago, in 1973, when I was in one of the three buses that left "Kontraskjaeret" in Oslo early morning Oct 6, 1973, for The Rolling Stones at Scandinavium, Gothenburg. It was a four hours or so ride, and the mood was great, rock'n roll bus ride for sure. They said we were crazy, sure it was not normal to go by bus cross the border to Sweden for a rock show back then. But for me it was both natural and important. 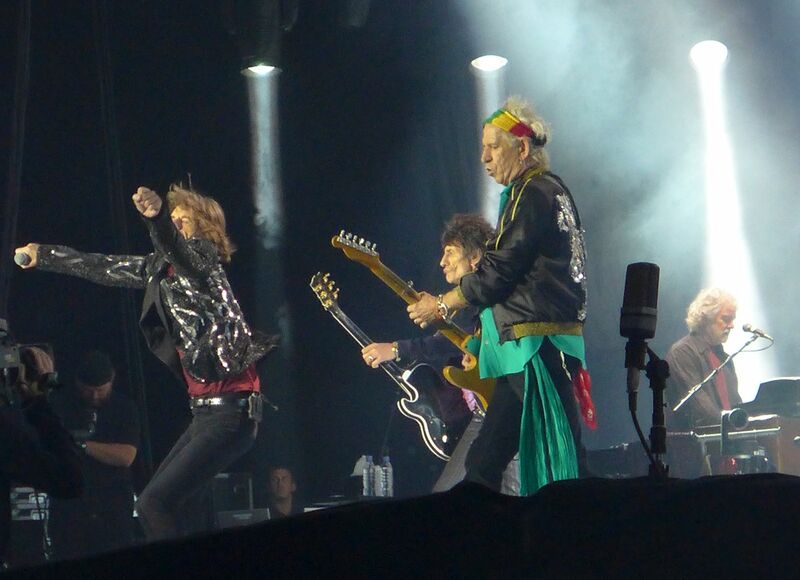 Then it took another nine years until I saw The Rolling Stones again live, again in Sweden. That next time - in 1982 - we were coming in sixty - 60 - buses from Norway to Nya Ullevi, Gothenburg Sweden. So Sweden has been sort of "home ground" for me when it comes to see the Stones live. When Mick thanked us for coming to see them tonight, and he said they had played Sweden 26 times, I felt I was part of these statistics. I did not go to the shows in the 60's, but I saw most of these 26 shows anyway, never missed a show in Sweden after that bus ride in 1973. So I was back "home" well almost home in Sweden, following twelve great shows in Europe this summer. It was wet and rainy outside, like in Werchter, but luckily it was an indoor stadium, weather wise. Unlucky it was an echo place. When they play in such a closed venue, you are bound to get a lot of echo. It felt strange during the first few songs, but I just pretended they were running with an echo machine and tried to concentrate on the songs. It was a great crowd tonight, still nothing like we had in the south of Europe, with the crowds in Rome and Madrid. 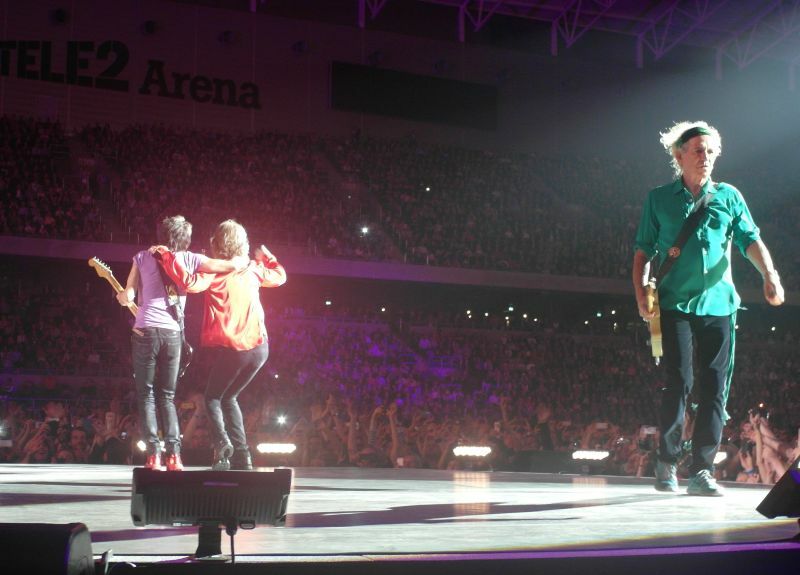 But with "Out Of Control" I sensed Mick was slowly getting more contact with the crowd. Keith was great tonight, and his solo on "Out Of Control" was just the beginning of a long series of Keith moments tonight. Then the Keith set was great, "You Got The Silver" was very good, and even "Can't Be Seen" was great. The Swedish newspapers got confused when Keith named us - the cowd - "honey", like he has done other places in the past. It was not Ronnie, it was not a random girl up front, it was Keith saying thanks for a great ovation, on with the show. "Midnight Rambler" is different every night. Improvisations. Tonight it was again unique, and again it was worth the travel alone. I may have said this before, but again tonight Rambler was may be the best so far this summer. I did not clock it, but it felt long, very long. And great! "Miss You" - and I can not see Keith anywhere. Wonder where he is. May be he is not there at the beginning of Miss You. But a minute or so into the song he sneak in behind Charlie, no worries. And here they come. I am by the B-stage and I have Mick, Ronnie and Keith coming visiting within 2-3 meters distance. Great! Another great show, and one of the late highlighs were Keith during "Satisfaction". The song had ended. Ronnie had planted his guitar to the floor long time ago. Mick was doing his final thank you final bows on the stage on his own. But Keith had walked back to Charlie and gave "Satisfaction" some late extra life, like he did not want to finish it all to soon. But the rest of the band had closed it, so the show was over. 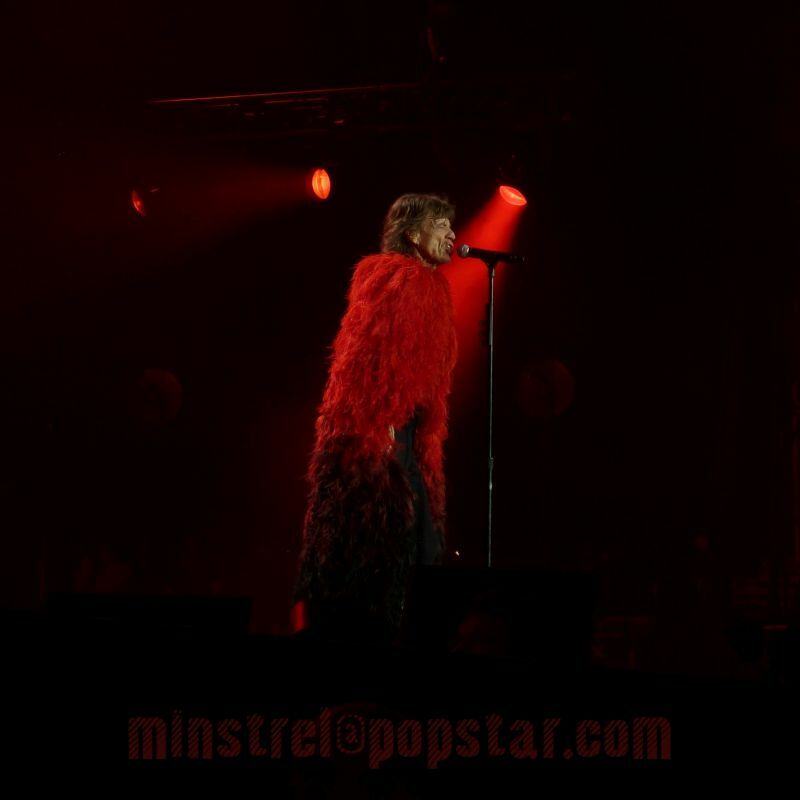 See you in Roskilde, for the last show of The Rolling Stones this summer in Europe. Poor Bobby Womack. He's been dead for only 4 days, and the Stones have already moved on with their lives. At this late stage in the tour, I thought they might keep "It's All Over Now" in the set list as a tribute to the man who gave their career a huge boost. But no, we got "You Got Me Rocking," "Angie" -- and the fan choice "All Down the Line" for what I believe is the first time since Oslo. 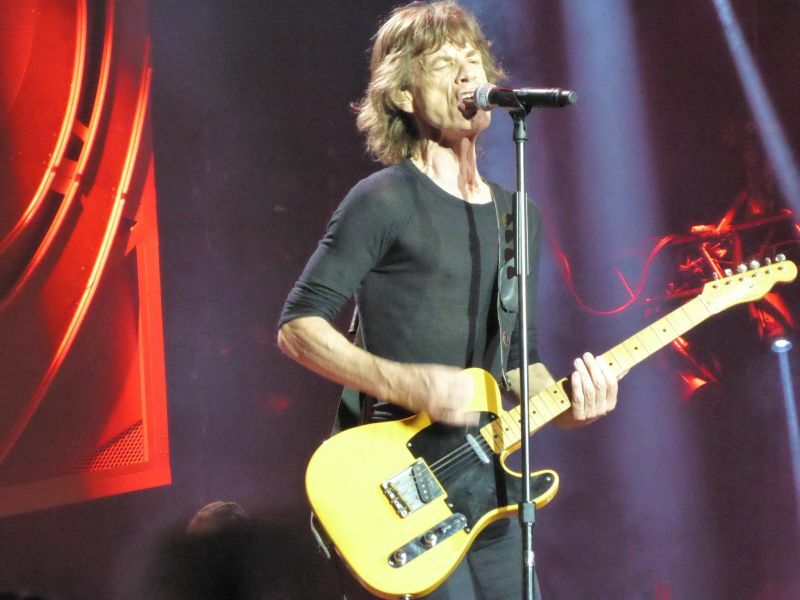 The latter song was a bit uneven, getting off to a rocky start when Mick sang, "Yeah, hear the people singing." The silly and off-topic videoclip was late coming on, and I thought, "Yes! Mick took my advice from the Oslo review and dropped it." But it appeared eventually with helpful captions explaining who Elvis Presley and Bob Dylan are. BTW, they couldn't insert a quick video or still shot of Bobby? Also, BTW, Mick said he'd thought they might have to play a country song, presumably "Dead Flowers," but ADTL was a late challenger. In a country that has given so much pop music to the world, Mick oddly passed up the opportunity to joke about rehearsing an ABBA or Roxette song. 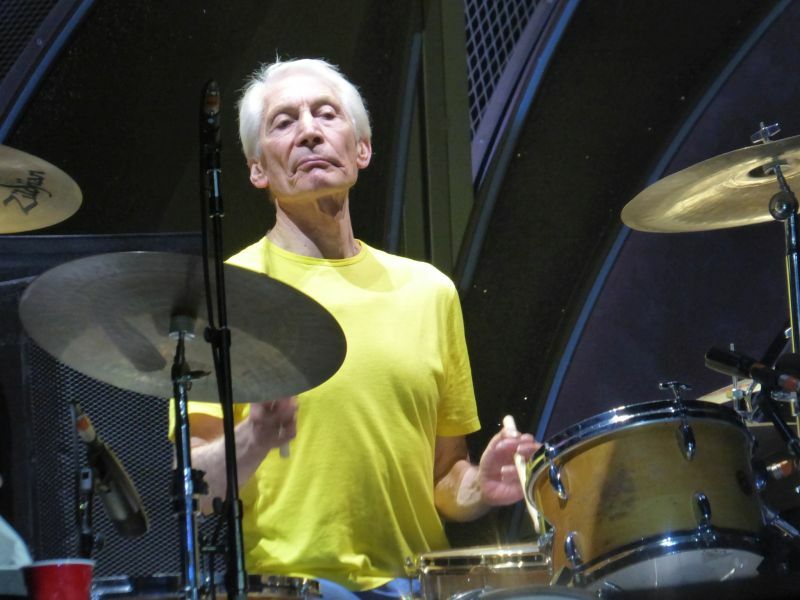 But he seemed in his usual amicable form, faking bewilderment when Keith cut him off with the intro to "You Got Me Rocking," noting "it's a long way, really" when running back to the main stage to do the intros, and rescuing an unappreciated Swedish-language joke about Ronnie by saying, "Subtle. It's a bit subtle." Late in the evening, he thanked Swedish fans for their support over the years. More importantly he sang much more than in Werchter, with an especially plaintive version of "Angie," and little flourishes here and there. Keith does the same with "You Got the Silver." These guys are thinking about the content and delivery of their compositions, not just reciting lyrics for the millionth time. Keith, by the way, played fluidly throughout the evening. He even attempted to revive "Satisfaction" after the song had wound down, but he presumably did not have written authorization from Chuck, so it went nowhere. Nice try, though. 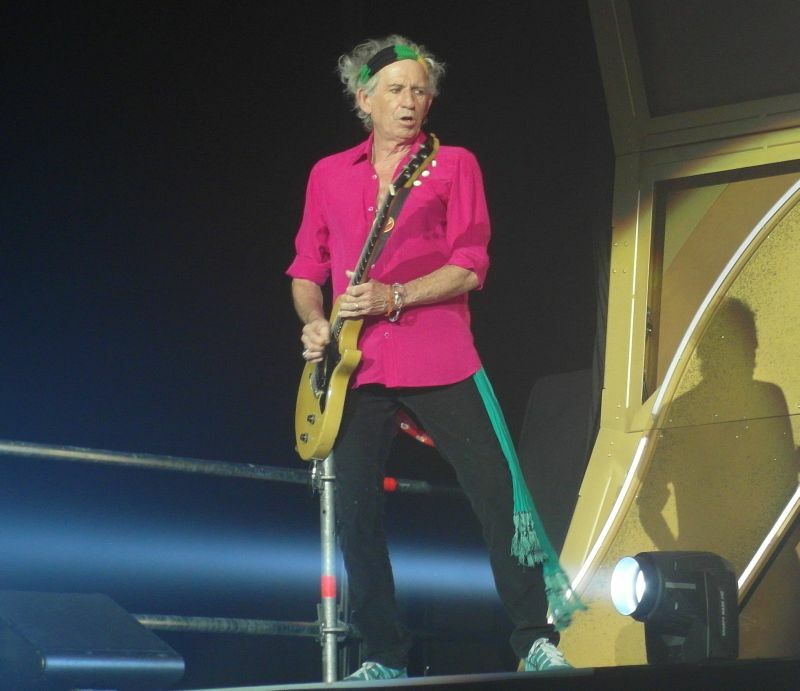 "Midnight Rambler" clocked in at about 15:05, perhaps the longest version of the tour, though I did not time the seemingly endless version in Berlin. 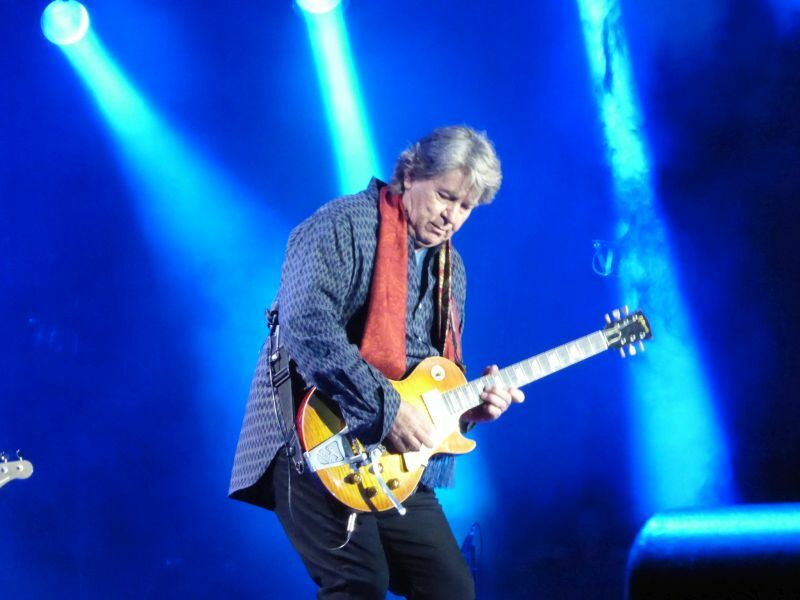 Afterwards, Ronnie reminded Mick to thank Mick Taylor. I also noticed that Chuck and Matt shook hands and exchanged pleasantries after Keith's set, so I don't know how much bad blood here may actually be between them. Charlie got massive applause at intro time, presumably for dressing in yellow and blue, a nice combo at the best of times. Let me guess, red and white on Thursday? The crowd was pretty abysmal, especially in the stands. If you were a superfan stuck in the upper tier, it must have been frustrating sitting alongside rows of corpses. That happened to me in Gothenburg in 1998, so I know the feeling. Having been here in 2003 and seen the band at the Globen and Circus, I was expecting an excited crowd - and was not disappointed. I don't know how it was from further back, but at the very front (Keith's side) the low stage gave excellent viewing and the sound was perfect. And everyone rocked. The air of anticipation grew with two support bands, and pretty efficient equipment changes between. Some feverish work to fix the big screen behind the stage during this time - nice to see the technology can sometimes play games with even the pros. The crowd near in the pit was the usual mix of travellers from all over the world and locals, young and old. Massive energy and enthusiasm - and no real issues. By the time the band came on, just after 9pm, the crowd was ready to party - the arena nicely cool. I think they played for 2.15 or so - several number seemed a little extended, mainly as Mick kept them going. One of the challenges with being at the front is where do you look; Almost never at the big screens, because you can see every nuance on the band's faces directly. There is always plenty of movement and action, right across the wide stage. 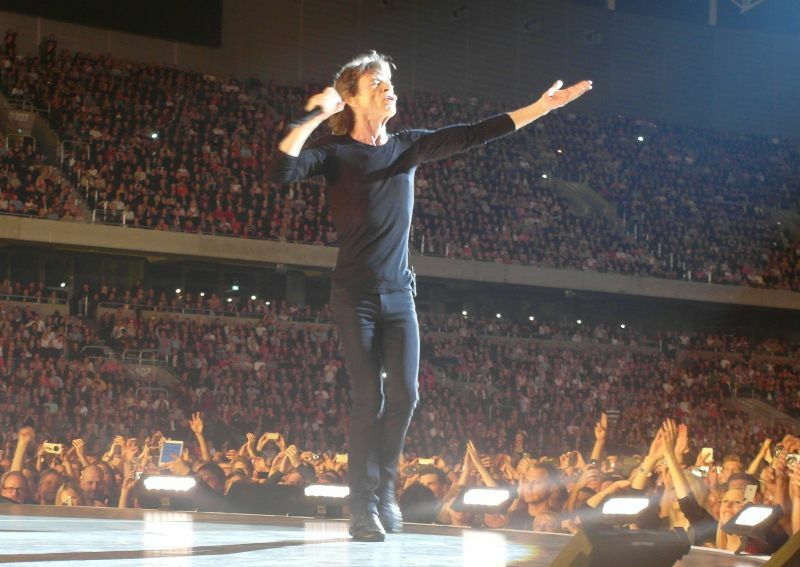 Mick of course is everywhere, dancing, singing, with little theatrical gestures to band members and the audience. (no dead parrot sketch however - maybe mentioning Norwegian Blue in Sweden would go down badly.). So you watch the main action, check out the sideshows, take the occasional photo; absorb the atmosphere. Fantastic! Darryl has almost as many bass guitar changes as Keith has guitar swaps, and played really well - an especially enthusiastic solo in Miss You. Chuck, as I had noticed in Germany, seems to be covering much more of the keyboard - showing more and more of his talent. Lisa particularly powerful on Shelter - blasting away the critics in my opinion. Bernard filling many of the gaps and shadowing Mick well. Right in front of me were Bobby K and Tim R. The set list had plenty of their contributions - they make a great combination, especially when Tim is on the Alto Sax. Bobby looking and even doffed his cowboy hat. 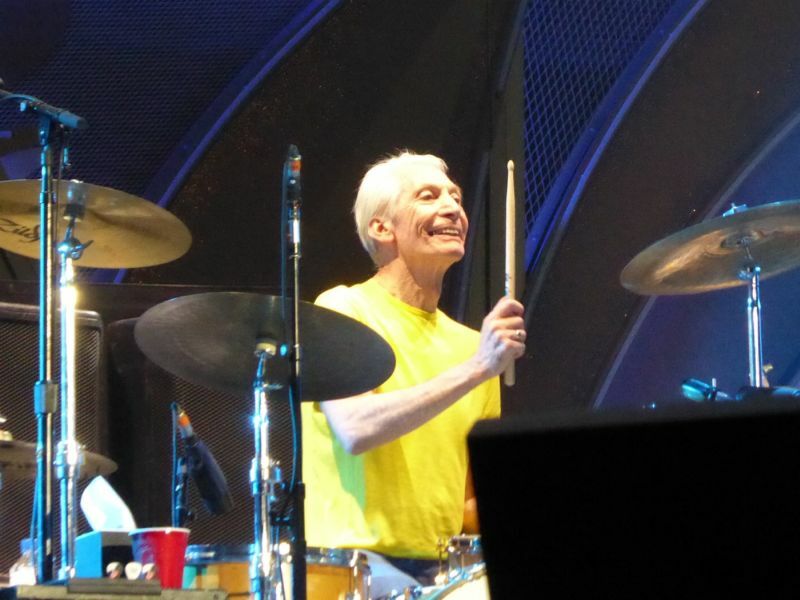 I couldn't see much of Charlie - cymbals between me and his face - but at times even he took control of the direction of numbers, ensuring that Keith ended Satisfaction, and daring to place a foot or two on the catwalk! Ronnie again on heat: Start Me Up solo a bit screechy for me, but sublime on Silver, Line and Rambler. Watching the interplay between him and Keith is fascinating. 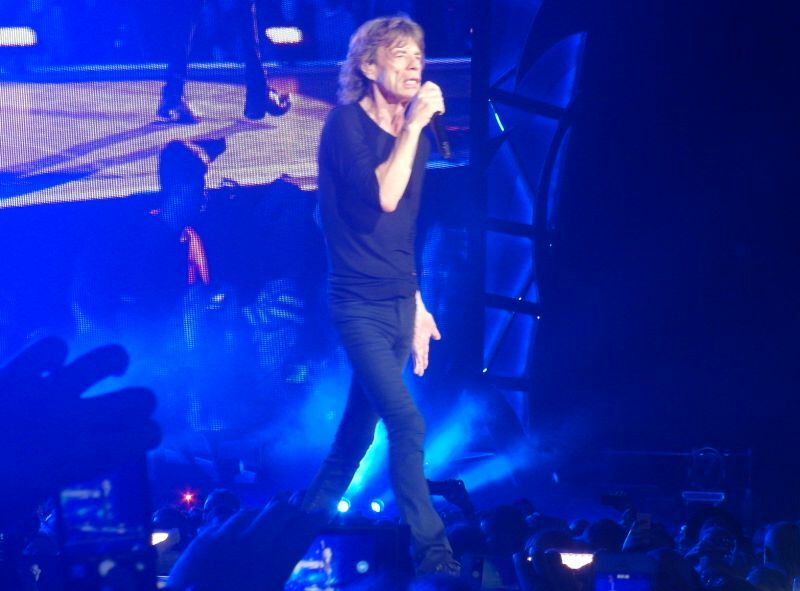 Mick of course dances like Jagger; entices the teases the audience like Jagger; made a joke in Swedish at Ronnie's expense that I couldn't translate and none of audience got (as he himself noted). The consummate performer, and blew some great harp on Rambler and Out of Control. 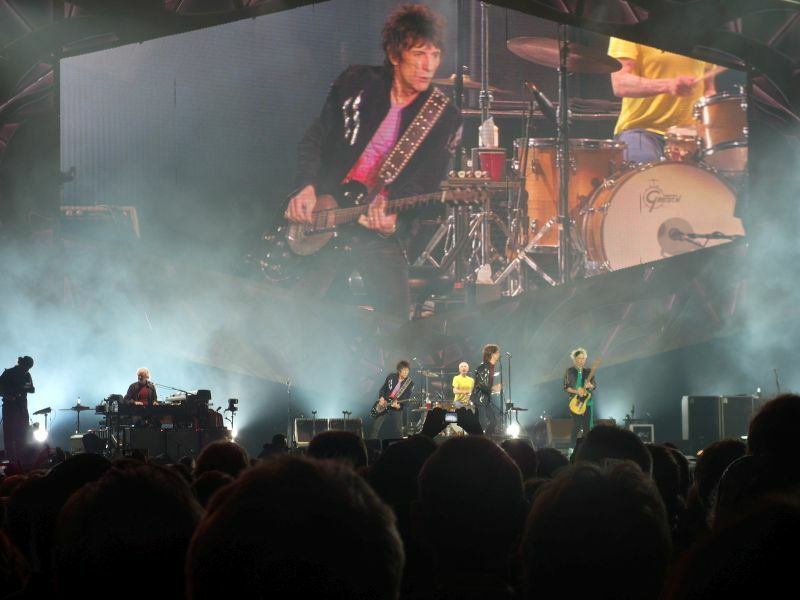 As a team, as a band, as a bunch of old mates - the Stones on this European tour are together like you cannot believe unless you've been there and seen it. The one sour note for me was MT. 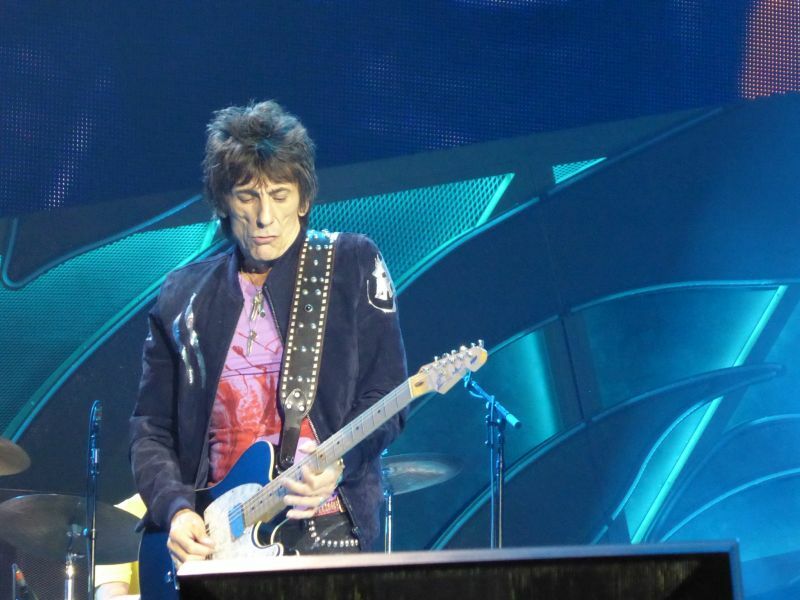 Good playing on Rambler, actually very good except for trying to lead the number when Mick or Keith should do that. But I could see him hanging around behind the amps with a very distainful look on his face, arms showing boredom, almost sulking. Mick J almost forgot to thank him post-Rambler (Ronnie prompted him) and if he saw MT's attitude to the playing then I'm not surprised. Sad really. So for me another tour leg over - so pleased I was lucky enough to see the band 4 times this year -and still tempted by Aus/NZ. Some fantastic people (fans) I met in queues and in the crowds. 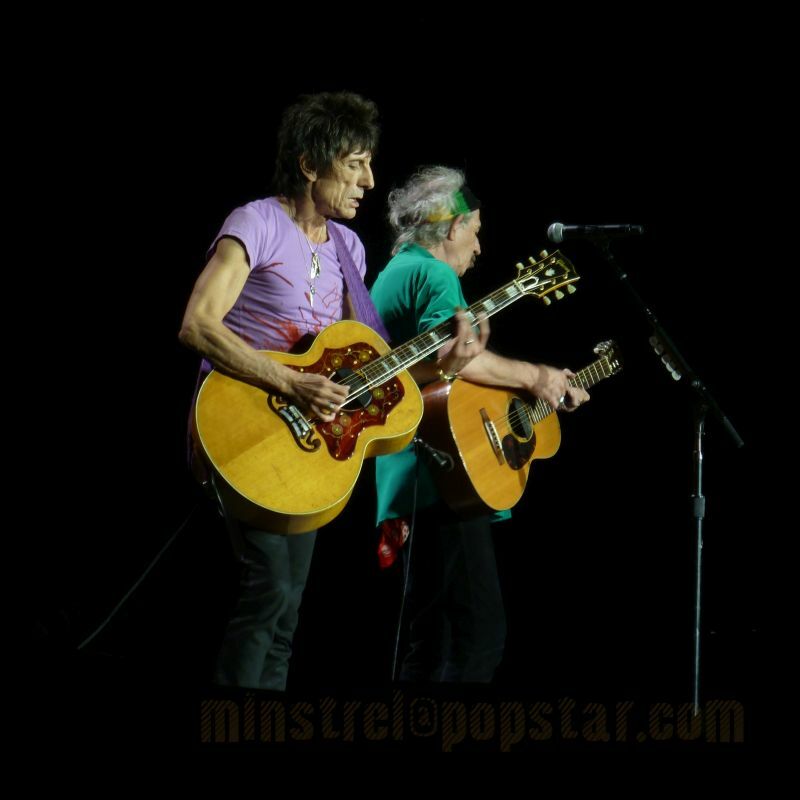 All crazy about this "modern combo" of travelling minstrels we call the Stones. I enjoyed sharing the experience. If you want to hear excellent Rolling Stones concerts, you have to come to Stockholm - the fans know this! A lot of fans were partying already in the afternoon. I and a lot of other heavy Stones fan (including the Nordic Stones Vikings) came at 2 p.m. to Ostgotakallaren/Sodermalm where the Stones party began with the excellent Stones-Tribute band "Rocks Off" from Gothenborg. And then after a little while . Swedish press and Swedish Television showed upp . and today you can read about the Ostgotakallaren-happening in most Swedish newspapers, for instance: SVT.se and Expressen.se. Then at 8 p.m. we took the underground to the arena. 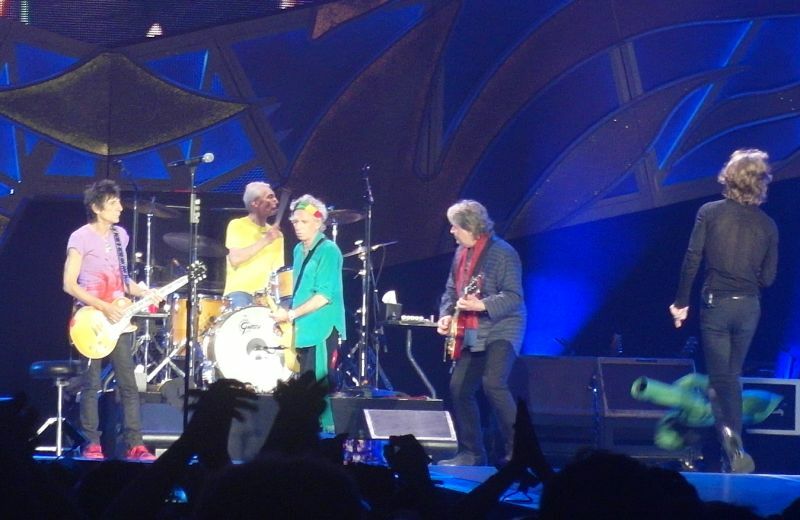 In my opinion the Stones played and excellent concert in Stockholm, high musical quality from the very first minute and obviously, the Stones were in a good mood. I don't want to say a lot about the songs that the Rolling Stones played . it was "the usual suspects" of this European leg if the tour. I leave it to other persons to review the concert song by song. This was my 11th concerts with the Rolling Stones and the first one on this tour. Even if a little bit expensive, I was satisfied, totally satisfied . and I'm sure most of the Stockholm audience! It was a great show in Stockholm. Pure rock n roll but with a soul twist! Jumping Jack Flash was like I loved it to be. Powerful, ragged and loud.. a kick-starter. Then the usual line up Only Rock n Roll (great) with a great solo from Keith who is the king of guitars this evening (except from Mick Taylor. I'm coming to that point in the show), Dice(great), Angie (a little bit to fast), Doom and Gloom (great), All down the Line - they played it even better than on Exile. Great horns and a greasy, lovely slide from Ron. Next number was Out Of Control (they played it even better than the 1997 tour!) Honky Tonk Women (Great and still one of my favourites) . Then Mr Keith Richards steppes out to the microphone for You Got The Silver ( he did a great job and a soul in his singing) follows by Can't be seen. Why this song when there is a lot of great Keith songs? Happy, Before they make me run, Losing my touch, Sleep tonight.and so on. And now comes the greatest time in the show. A burning Midnight Rambler with the greatest solo guitarist in Stones history (sorry Brian and Ron). It was a great long blues-jam with Mick Taylors fantastic guitarwork as a lead through the number. 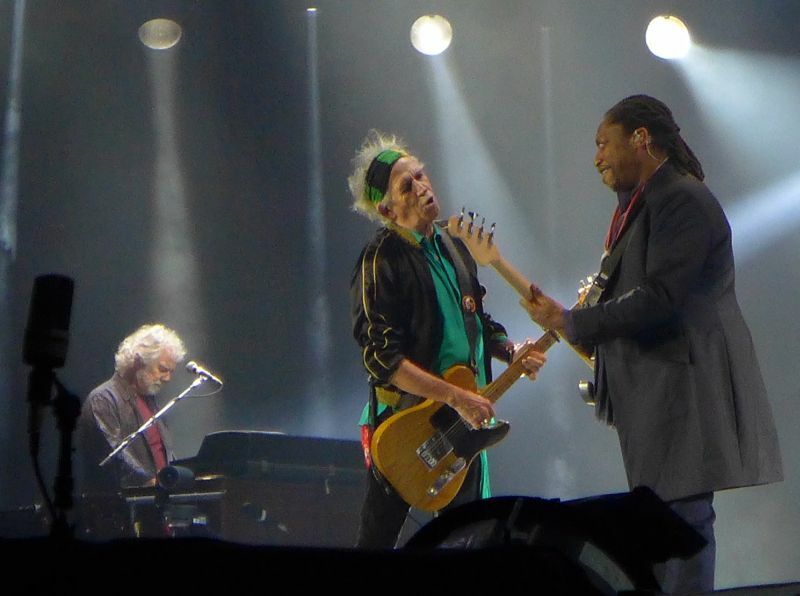 I hope Mick be playing in lots of numbers in the next tour. He has a fantastic tone and timing in his playing. Then a dance-lesson for the crowd Miss you. Midnight Rambler was the next highlight for me in the show. Lisa vs Mick (Whaoo..) Start me up is Stones in pure form. Great rock n roll. The crowed loved it and me too. Sympathy for the devil. They played it in a danger and powerful version. Like it be use to be played! A great solo from Keith. One of the best Keith riffs is Brown Sugar. They played it soulful and rocky and a very long version. Which was absolutely great. You can't always get what you want was absolutely fantastic and even better than the original on Let it Bleed. 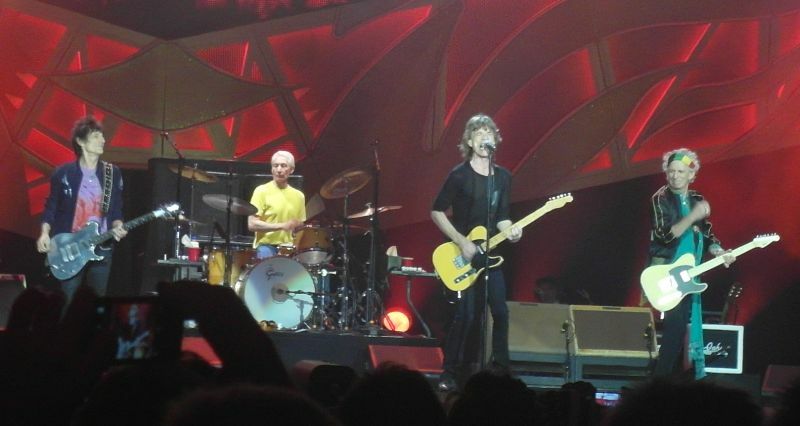 Satisfaction is not one of my best Stones-songs but tonight they played it like it just to be the first time they played it..A fantastic show.. 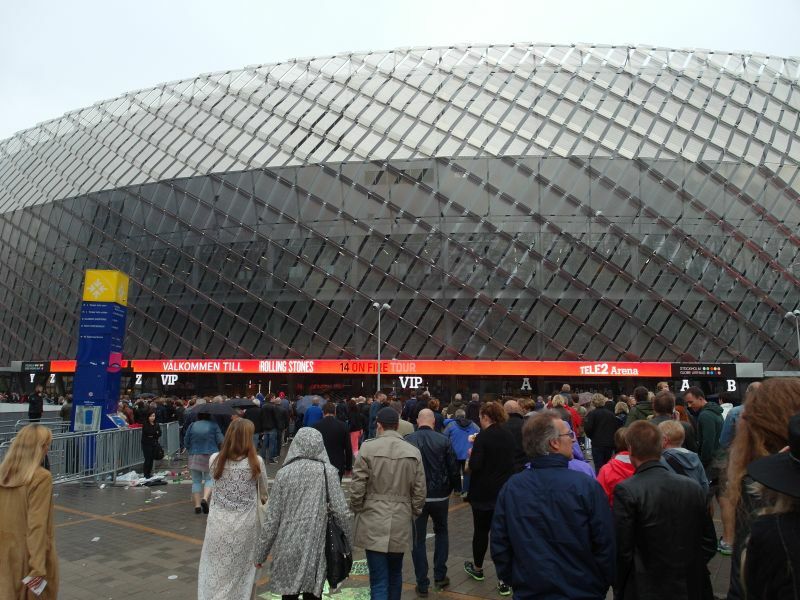 I'II hope it won't be the last time for the Rolling Stones in Sweden! Finally got to see the Stones after the 02 concert in 007 . Arrived at the show at 14.45. There was some silly thing going on with numbers given away to the first in line. It did not apply for us, because we were too late. I say silly because when we were in, we were in front of some people with numbers. Seems like people from Holland sometimes get lucky. The first support band sounded a bit like .otrher bands and after hearing 4 songs i fell asleep. it was boring. the second band had a good sound and was good all over. and then.yeah yeah. The adrenaline kicked in and it was awesome to see Charlie getteing behind the drums, Keith getting ready and having a smoke .! Bam . JJF .! In your Face . great stuff. 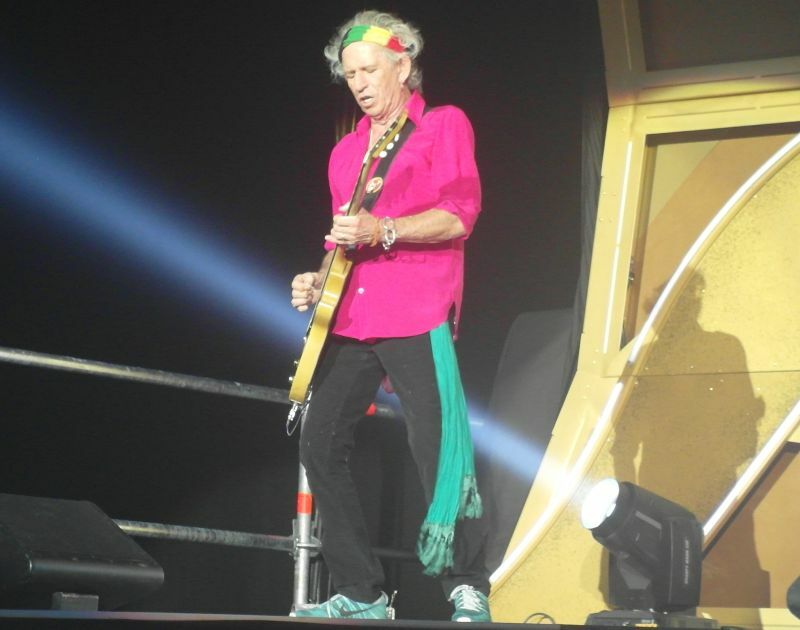 We were in the Golden Circle , Keef side, 3rd row. It was mind and heartblowing to be so Close again ..
For me, the show was very good to great. i did not like Angie and miss you that much, but thats personal ofcourse. It sounded dull to me. However.Midnight Rambler, Gimme Shelter, Honky Tonk nearest bar, Woman, etc etc were great all over. 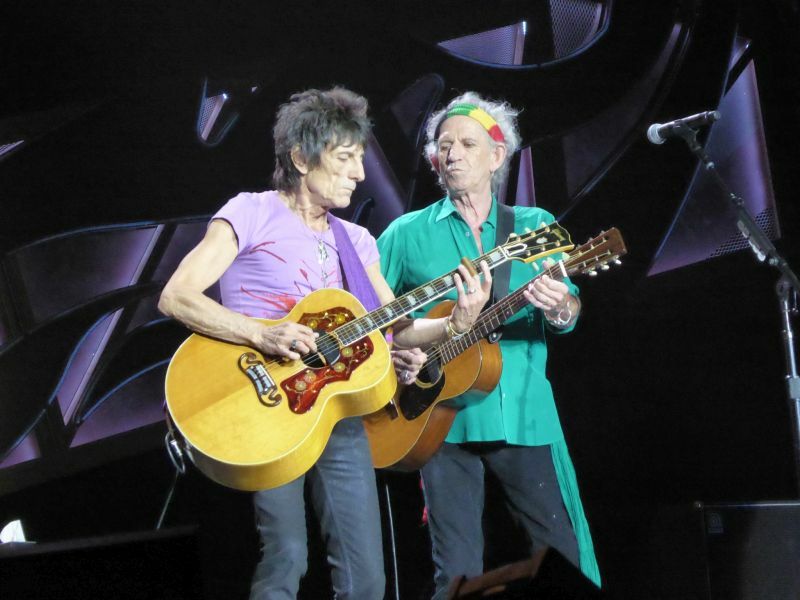 Keef and ronnie changing lead riffs. .
Jagger and keef fooling around and grinning at each other. Ronnie went for a smoke, just before Sympathy and was nearly too late for his riff. Very cool, and seeing him laughing to everyone about it. 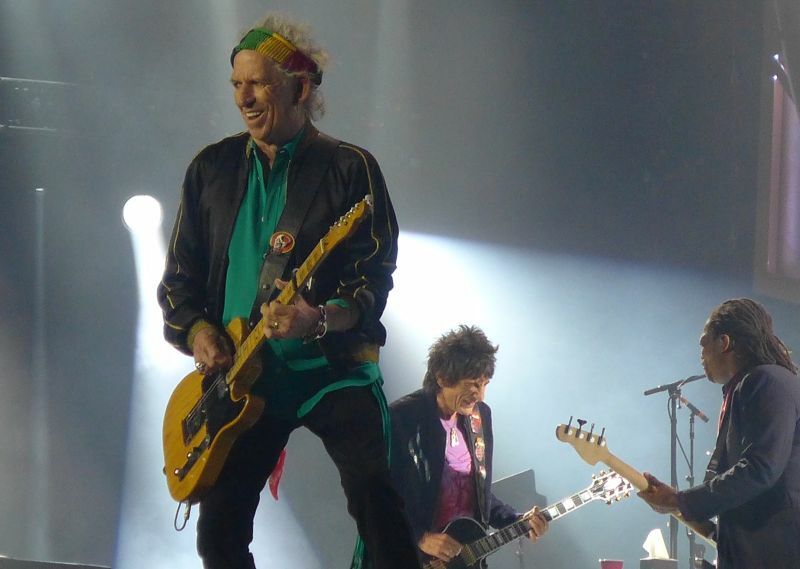 Jagger going for a long run to the back of the arena, Keef and Ronnie laughing aboiut it as if they were saying, there goes Mick again. Mick Taylor on a superb piece on MR . and Mick Jagger.i was so happy to see his facial expressions, hard working, breathing,, laughing. Boy, he worked hard .! all too soon there was the final song. we walked back to the nearest bhar and had some cold beers. What a night, great great concert and a little deaf right ear . But thats not all.. The next day around 1400 we walked past their hotel! Maybe 200 or 300 fans and tourists. some police and security. we decided to wait for 2 hours. Ronnie appeared from his window and waved in amazement at all the people standing on the street. again yeah yeah.. Bernard and Lisa waved from the bus, Keith Ronnie and Charlie got in their vans very fast. Mick Jagger signed and waved a lot, and opened the window waving again.